The individual ingredients in the JR Farm Millet Set are ideal not only for birds, but also for dwarf rabbits and small pets. It provides your pets with ideal long-term entertainment - nibbling, picking, gnawing and even climbing. The treats can be attached to the cage via linen cords. The different components are all natural and provide sun-ripened linseed, sorghum, canary seed and linseed flax together. Your pet will have to harvest its own canary seeds, just like in the wild. 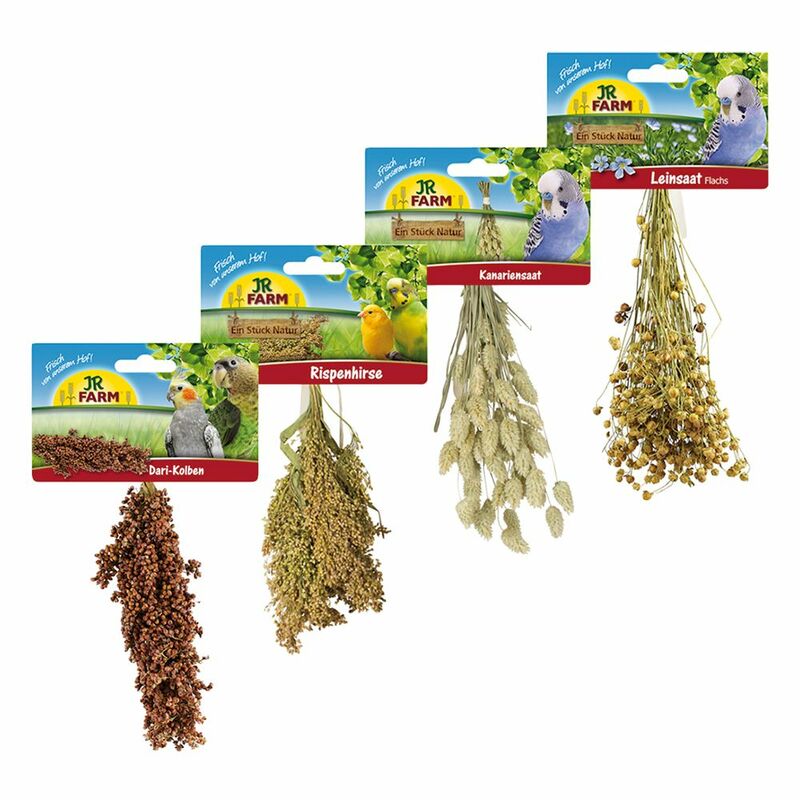 The JR Farm Millet Set at a glance: A supplementary feed for birds, dwarf rabbits and other small pets For nibbling, picking, gnawing and climbing Natural seeds: Sorghum bulbs 100g, Proso millet 100g, Canary seed 20g and Linseed flax 30g Ideal for long-term entertainment Attach to the cage with a linen cord. Price just £7.99! Click here to buy now!